PERSONAL STATEMENT is a documentary film about three remarkable CARA-trained Youth Leaders supporting their peers through the college process while applying to college themselves. College Access: Research & Action (CARA) Right to College Program: Youth Leaders in Action from Julie Dressner. The American Film Institute (AFI) opened AFI DOCS 2018 Film Festival with a world premier of PERSONAL STATEMENT in Washington, DC. 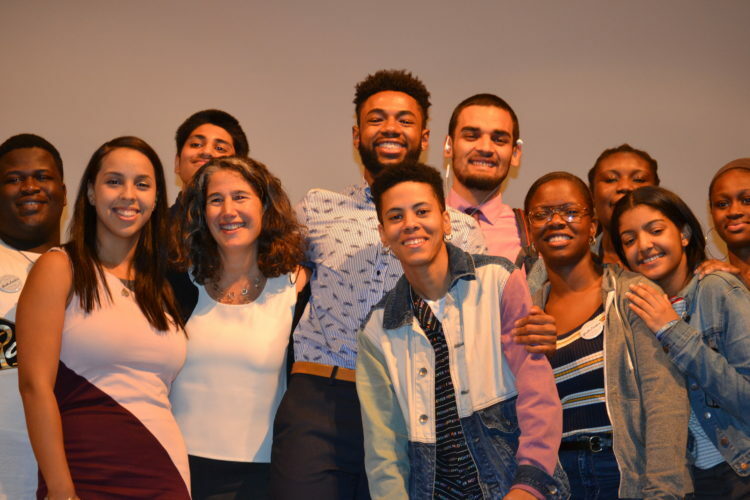 After the film, Rick Cruz, Chief of Strategy and Innovation for Houston Public Schools moderated a panel with the filmmakers – Julie Dressner and Edwin Martinez – and the three Youth Leaders – Christine Rodriguez, Karoline Jimenez, and Enoch Jemmott. In an news article in Washington Post, “If you think getting into college is hard, you don’t know the half of it. See the barriers these students faced — and overcame,” PERSONAL STATEMENT, was one of the documentaries featured. CARA was proud to host the first New York City screening of the film on October 10th at the CUNY Graduate Center. It was great to have so many of our school and CBO partners, funders, and young people, together for the event. We were honored to have CUNY’s Interim Chancellor Vita Rabinowitz open the evening and remind us of the critical role CUNY has played in serving first-generation college students. Kesi Foster, lead organizer from Make the Road NY, framed the film by explaining the youth organizing movement that led to the model of youth leadership for college access portrayed in the film; and CARA co-Director Lori Chajet traced the growth of a peer-to-peer model for college access and retention from 16 peer leaders in 2007 to over 400 in 2018. On September 25th, CARA’s co-director, Janice Bloom, joined director Julie Dressner and former Youth Leader Karoline Jimenez for a screening of Personal Statement at the National College Access Network national conference in Pittsburgh. The film was also shown in September at the annual conference of the National Association for College Admission Counseling (NACAC) in Salt Lake City.